This article was published by TechPresident on 28 August 2012. Click here to see the article on TechPresident. On the troubled northern border of Georgia, next to the disputed territory of South Ossetia, where two wars have been fought in the last two decades, an NGO has been quietly pioneering a new kind of distributed reporting system, one that uses SMS text messaging and the web to combine the data-rich mapping of Ushahidi with the meticulous requirements of human-rights researchers. The project has been in quiet development for two years, as a partnership between some intrepid developers and two NGOs, the Caucasus Research Resource Centers and a London-based conflict-transformation organization called Saferworld that is active in 17 countries around the world. Now, for the first time, they are going public with their Elva platform. Elva, which means “lightning” or “express message” in Georgian, is a powerful tool. Not only can it help local villagers as well as aid groups working in the turbulent region gain a more accurate and transparent understanding of what is, and isn’t, going on there on a daily basis, but it could be used by groups in other parts of the world for similar purposes, or for monitoring elections, communicating with elected officials or organizing other community-driven monitoring efforts. 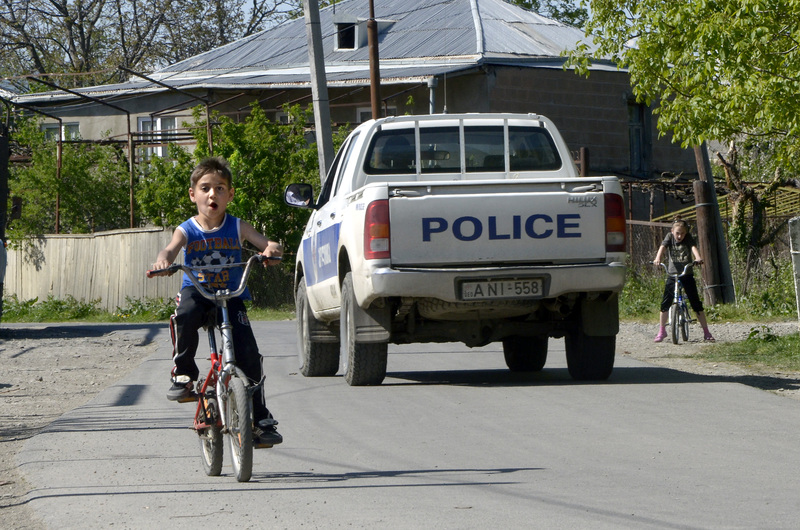 In Georgia, Elva is being used to collect and share information about daily life in nearly two dozen border villages that participate in a “Community Safety Network” developed by Saferworld. They are focused on such specific topics as shootings by troops or border police, the presence of armed groups, detentions of people for accidental or deliberate border crossings, and acts of physical violence, along with more subjective measures of safety and security. The information collected can be quite granular, as in tracking how often security providers and human rights monitors visit each village and whether or not those visits include speaking to local residents or not. “People in these communities don’t have access to the internet,” says Jonne Catshoek, Elva’s project manager. So, in each village, a volunteer community representative has been recruited to respond to a pre-agreed weekly questionnaire via SMS. Each response to a question is coded with a different letter, and reps simply send one text message combining all those letters to a short code to send in their reports, which go straight from the mobile company via VPN to Elva’s servers. Below is a sample page from the weekly questionnaire, along with an example of what a summary text message might read. It’s an ingenious solution to an ordinarily complex data-gathering problem. The Elva platform is enabling Saferworld’s local network to more quickly share information on security incidents and how to better deal with local authorities. “By tracking and analysing this data, and sharing it with the relevant local and international actors, we hope to provide a genuinely early warning mechanism which would identify and tackle the emerging problems and sources of tension at their early inception phase,” Huseynov adds. The tool also allows network members to send emergency messages to each other, for example, when a civilian is detained after crossing the Administrative Boundary Line. This also helps counter the spread of misinformation and rumors. Funding for the development of Elva came initially from the European Union, and now mostly from the United Nations Development Program. But it is mostly a labor of love that Catshoek and his colleagues spent their weekends on for several months. Personal Democracy Media is thankful to the Omidyar Network for its generous support of techPresident’s WeGov section.